Sandy Campbell, Executive Director of the Santa Fe Council on International Relations, World Affairs Councils of America Council of the Month, will moderate a KNOW NOW conference call with Valeria Plame. 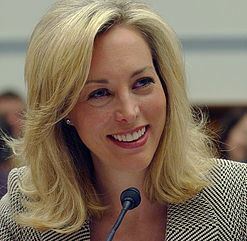 A former career covert CIA operations officer, Valerie Plame worked to protect America’s national security and prevent the proliferation of weapons of mass destruction, in particular nuclear weapons. During her career with the CIA, Valerie managed top-secret covert programs designed to keep terrorists and rogue nation states from acquiring nuclear weapons. This involved decision making at senior levels, recruiting foreign assets, deploying resources around the world, managing multi-million dollar budgets, briefing US policy-makers, and demonstrating consistently solid judgment in a field where mistakes could prove disastrous. She was also involved in covert cyber operations and counterterrorism efforts.